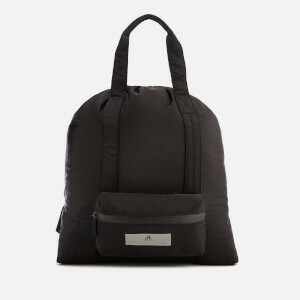 Black backpack from the adidas by Stella McCartney collaboration. 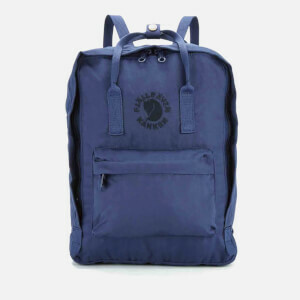 Lightweight and durable, the rucksack features a spacious, lined interior with a laptop compartment and is secured with an adjustable drawcord and buckled flap. 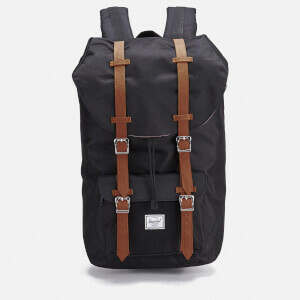 Multiple exterior pockets offer extra storage capacity, while a top handle and padded shoulder straps ensure comfortable carrying. 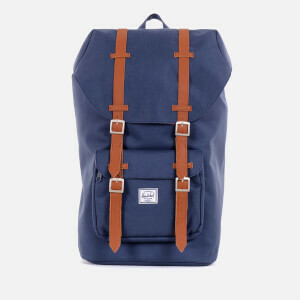 A contrasting graphic trim and printed logo patch add the finishing details.